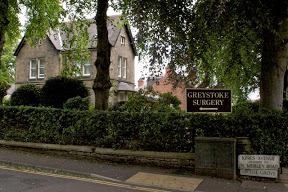 Our Practice has been established in Morpeth since 1925. We have previously moved from Kings Avenue in April 2013. We were previously located in Oldgate until 1985. We have 6 partners and a salaried GP. As well as the town of Morpeth, we serve the surrounding villages. Our aim is to provide the highest standards of healthcare in the most convenient setting for our patients. To help us achieve this we offer many in–house services at Greystoke, e.g. counselling, assessment, audiometry, ultrasound. In addition, our nurses are actively involved in chronic disease management, including asthma, diabetes, hypertension, kidney diseaase, ischeamic heart disease, thyroid monitoring, medication monitoring and also well person checks. The practice is in the undergraduate education of medical students and the postgraduate education of young qualified Doctors in conjunction with the University of Newcastle and the Northumbria Vocational Training Scheme. These young men and women are attached to the practice for periods of up to six months to gain further experience in family based medicine. Our primary healthcare team aims to provide our patients with comprehensive and high quality medical services making effective use of both clinical and financial resources. Treat all patients equally with dignity and respect. Respect patient choice helping patients to make the right treatment decisions for themselves by sharing options clearly and comprehensively. As a practice we are committed to operating according to the ethos of equality. Our aim is to treat all patients with dignity and respect. We provide the same standard of care irrespective of race, gender, sexual orientation, religion, social class, age, or medical condition. We will help patients make the right treatment decisions for themselves by sharing options clearly and compressively and will always take into consideration their views when developing our services. Patients are encouraged to give written or verbal feedback and this is publicised in our Practice Brochure to which we respond positively. Should staff or patients be less than satisfied with our services we have in place grievance and complaints procedures.